Buddhist nationalists in Sri Lanka have caused concern among Protestant Christians by renewing their calls for anti-conversion laws. For more, watch this one-minute video clip. 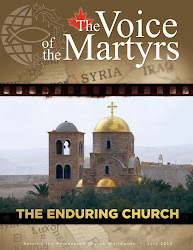 Click here to watch more video reports about the persecuted Church. For more on the trials Christians face in Sri Lanka, click here.